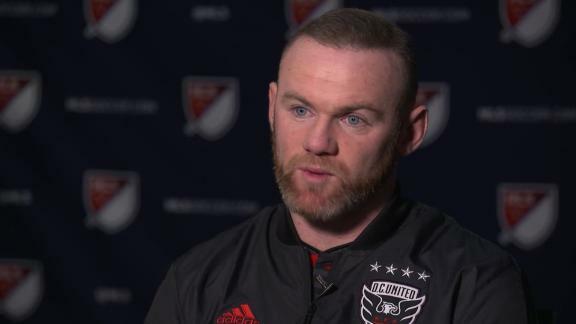 Rooney, Manchester United and England's record goalscorer, quit the Premier League last June after agreeing to join Major League Soccer side DC United. And while he's clearly enjoying himself in the US, Rooney still believes he's still good enough and hungry enough to play in the Premier League. Rooney rejoined his boyhood club Everton in July 2017 after 13 years at Old Trafford, before moving to the American capital as the English Premier League's second highest goalscorer of all time. From there he's continued to follow the goings on at former club United and its renaissance under the guidance of caretaker manager Ole Gunnar Solskjaer. United's latest victory, a 1-0 win at Leicester City, leaves it just two points off fourth place and the final Champions League spot. But despite his success, United has yet to make a decision on Solskjaer's future beyond the end of the season with Tottenham boss Mauricio Pochettino also being linked with the job. "Ole Gunnar's a fantastic person," Rooney added. "I think, the club will have a decision to make at the end of the season, and it'd be nice to see if Ole's going to continue with this form, and get a shot at the job on the payment basis.